"Nice people kind and keep you noted on everything." "Our families experience has been great." "Wow... the staff are amazing... I feel so comfortable bringing my daughter here ..."
"Staff was friendly and helpful, facility was great!" "The staff was helpful, friendly and professional." Dr. Jared H. Condie approaches his Orthodontic practice with the same enthusiasm he has for life outside the office, with a passion for meeting and helping residents of Sunnyside, Washington. At Sunny Smile Orthodontics, he welcomes patients of all ages – including adults needing braces – who want to enhance their smile by correcting irregularities in their teeth. 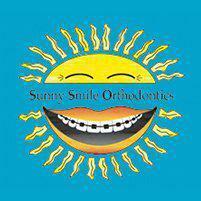 Sunny Smile Orthodontics has three convenient locations in Lower Yakima Valley: Sunnyside, Prosser, and Zillah, Washington. Dr. Condie graduated from the University of Louisville School of Dentistry in 2006, then received training in IV sedation dentistry at Miami Valley Hospital in Dayton, Ohio. He went on to pursue Orthodontic training at the State University of New York at Buffalo School of Dentistry. While serving his Orthodontic residency in Buffalo, Dr. Condie worked part-time as a General Dentist, where he thrived on the challenge of general dentistry with IV sedation. Dr. and Mrs. Condie relocated to Sunnyside in July 2010. They both were raised in small farming communities in Southern Utah, and enjoy providing their five children with the same types of perks consistent with rural life that they enjoyed as children. The family spends time camping, fishing, and raising animals for the local livestock shows. Dr. Condie enjoys horseback riding, maintains an active lifestyle, and takes time everyday to smile it up. After serving a church mission in Argentina, Dr. Condie became fluent in Spanish. He enjoys conversing in Spanish and loves having that opportunity in the Sunnyside area. As the only Orthodontic specialist who actually lives in the Lower Yakima Valley, Dr. Condie is aware of the joys and challenges of residing in this unique and beautiful place. He enjoys the personal relationships he has with his patients as he mingles with them at community events, local sports activities, and at the grocery and farming equipment stores he frequents. We accept most major insurance, medical coupons, and DSHS plans. Please call our office if you do not see yours listed or have any other questions.